Set the game clock with ease. 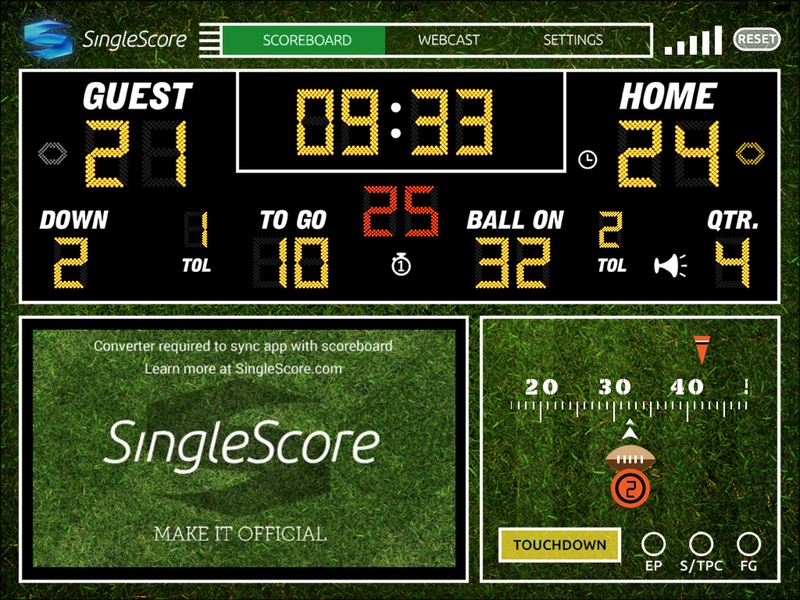 Use the One-Touch area to quickly add points for Touchdowns, Field Goals and Extra Points. Drag the football to automatically update down, yards to go and ball on in one motion.